This entry was posted in Rescued Dog and tagged #blog. 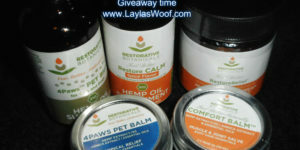 #dogblog, #giveaway, #hempforpet, #hempoil by admin. Bookmark the permalink. Sounds wonderful!! Am entering the contest! Thank you!! My senior cat has hyperthyroidism and because of it her fur and skin tend to get very dry. I’d love to try the hemp oil supplement for cats for her. I do give her a little fish oil, but would love to find something that works better for her. She also gets stressed, so the calming part sounds really good to me. These products sound great, I’d be most interested in the hemp oil supplement. I’m so sorry you had a negative experience with the Vet on staff that day, she sounds awful! I’m glad you went back and saw Layla’s regular Vet, she sounds so great. I hope her gum issue heals up quickly. Glad your baby is doin ok! Great info here, thanks for the insight on coconut oil! I use that sometimes and will try switching. Also love Reatorative Botanicals human products, excited to try to pet products for my senior guy! I’m so glad Layla is doing better, gained weight and you got to see a vet you love and trust. It’s frightening walking out of a vet’s office with no answers, and no confidence. I love the sound of both products, they both sound amazing and I know Jack would benefit from both, but especially the topical relief balm. According to the vet he has seasonal allergies and I prefer natural solutions when possible. I entered so let’s hope!! The hemp oil supplement sounds great! I would like that. I’m sorry you had a negative experience with that other Vet but your regular Vet seems terrific, stick with her. Love to Layla. That first vet sounds horrible, I’m so glad you were able to get Layla seen by her regular vet and get your mind put at ease about her health. So glad your regular vet appointment was better. It is so important for us to like our veterinarians! Did she mention why she recommended against coconut oil? I would be very interested as I do give it to my dogs. Does she have a specific alternate she would recommend? We love using hemp oil as a kitty calmer for two of our spastic cats and one with food allergies. Thank you for having this offer! We had nature’s give-away this week … freezing rain. Could have done without that. I call her a step-mother nature. Love these products! And I’m so glad to read that Layla is doing better – gaining weight and being her adorably, fabulous self! Will participate – as well as share! Layla I’m happy to hear your doctor’s visit went well! Very nice. Only one pound too?! I myself can’t say the same, LOL…I’m working on that. It’s nice to hear that these lovely products are working so well for you too. Good luck to the participants. I knew animal based oils were the way to go for cats, but I didn’t realize that it was necessarily the same for dogs. Makes sense though. Thanks for a great giveaway, I’d love the opportunity to try the products. This stuff was OK with the vet? Then you must be very happy to give it to Layla. Praise indeed so keep going. Animal based oils makes sense I suppose, maybe animals don’t work so well with plant stuff all the time? 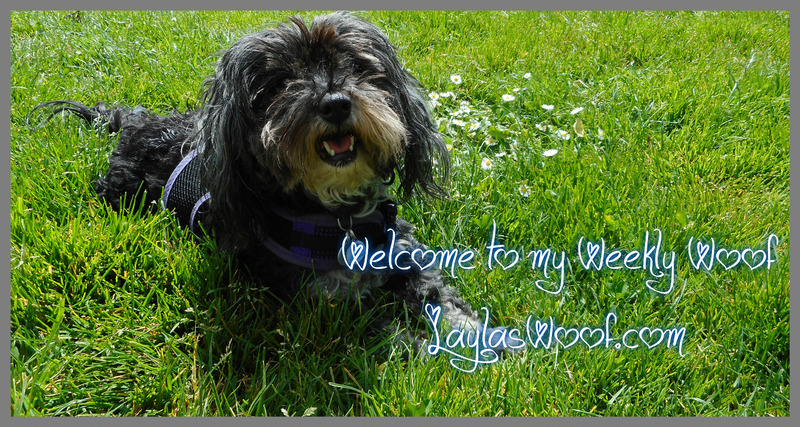 Happy to hear the visit to the vet went well and that she supports what you are doing for Layla. these sounds like great products. congrats on becoming an affiliate of this company. i think the products that i like the most are the pet balm and the comfort balm6 advanced for my back when it starts acting up from doing too much yard work. So sorry about that poor vet experience. I’m so glad you were able to get back in with your vet. The products sound great! I’m a huge advocate of hemp oil for my dogs and have also become an affiliate (different company) after seeing such success with it. I am quite happy this is a choice for us for our pets, now! Congrats on your affiliation! I would like to try the Restore CALM6 oil for myself. The calming hemp oil sounds great for both me and hubby. This is all new to me but sounds amazing! Layla looks so beautiful and glad she is doing better! I am really interested in the comfort balm!